location recordings are unpredictable. You can't always prevent your sound source from getting too loud. This is why it's hard to find the optimal input level for your recordings. Audio clipping (or saturation) is the distortion that occurs when your input signal level is too high, and your recording equipment cannot handle the dynamics of your input signal. Clipping results from over-saturation and usually sounds like a harsh distortion. When you look at the loud parts of your input waveform, you can see clippings as blocks of audio that are chopped off. It's always preferable to avoid clipping. But when you cannot re-record, the ERA De-Clipper will be your life-saver. 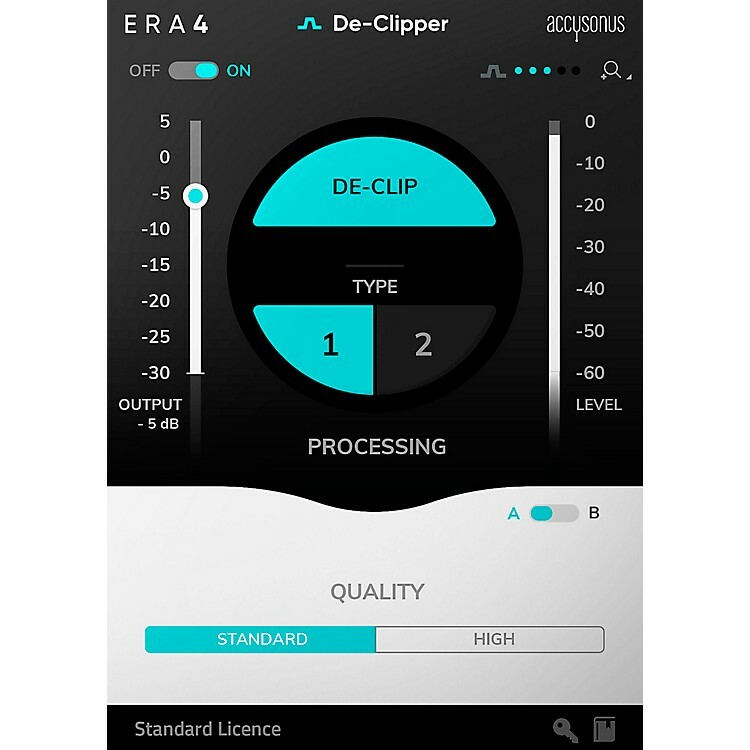 The ERA De-Clipper restores saturated audio segments and improves the overall signal quality. Unlike any other De-Clipping software, the ERA De-Clipper is completely automatic. It detects and repairs the over-saturated audio segments. You just have to select between Mode 1 (for standard use) and Mode 2 (for trickier cases). Repair your clipped audio in seconds with the new ERA De-Clipper. No more threshold adjustment, as De-Clipper detects clipping and tunes them for you.